What Can Go Wrong With a Shoddy Ductless Installation? 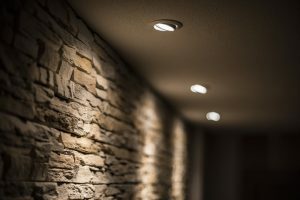 Perhaps flickering lights in your home is so commonplace that you’ve simply figured it’s “just something that happens.” This may especially be the case if you live in an older home. However, this shouldn’t be acceptable! In fact, you could be putting your home and its occupants in danger. Electrical issues that cause flickering lights can be serious. Electrical fires account for hundreds of injuries each year, through no fault of the homeowner, but are almost entirely preventable. So what if it’s just a single bulb or light fixture that’s flickering? Then you probably only need to switch that one out. However, if you find that multiple lights are flickering in a room or throughout your living space, the cause is very likely an outdated electrical system with either frayed wiring or too much demand being placed on it. It’s worth noting here that flickering lights certainly are not the only sign of electrical trouble! There are a number of other indicators to watch out for that it’s time to upgrade your electrical system, which we’ve gotten into below. Do You Need an Electrical Upgrade ASAP? Constantly resetting breakers or replacing fuses. Finding light switches that get hot to the touch and bulbs that burn out too soon in your home. Hearing buzzing from your light fixtures, walls, or circuit breaker panel. Smelling a burning odor coming from outlets or anywhere else in your home. Detecting signs of sparks when you plug something in, or receiving an electrical shock when you do so. If you notice any of the above signs, then yes. But if you came across this blog post by chance and aren’t actually experiencing problems at the moment, you probably think you can just pass on by and not worry about it. But we’d encourage you to read the following guidelines that indicate you should have an electrical check done, even if your system isn’t outwardly showing any problems right now. Have you recently moved? If your home is several decades old and you don’t know when the last electrical inspection was, or if you’ve lived in that home for quite some time and can’t remember the last electrical inspection it had, then it’s time to give our team a call. Do you find yourself using numerous power strips or extension cords? This puts stress on your electrical system, which might not be able to handle the increased demand being placed on it. Have your outlets been upgraded to either GFCI (Ground Fault Circuit Interrupters) or AFCI (Arc Fault Circuit Interrupters) depending on the rooms they’re in? If you’re unsure, or if you don’t even know what these are, it may be time to give our pros a call! When you need to get in touch with a professional electrician in Aberdeen, WA, look no further than Sunset Air. Contact us today!